The mission of Wairoa College is to provide a pathway (ara) which is uplifting to the mana of all and creates life-long learning. Staff and students are encouraged to keep this goal at the heart of all academic, sporting and cultural activities. 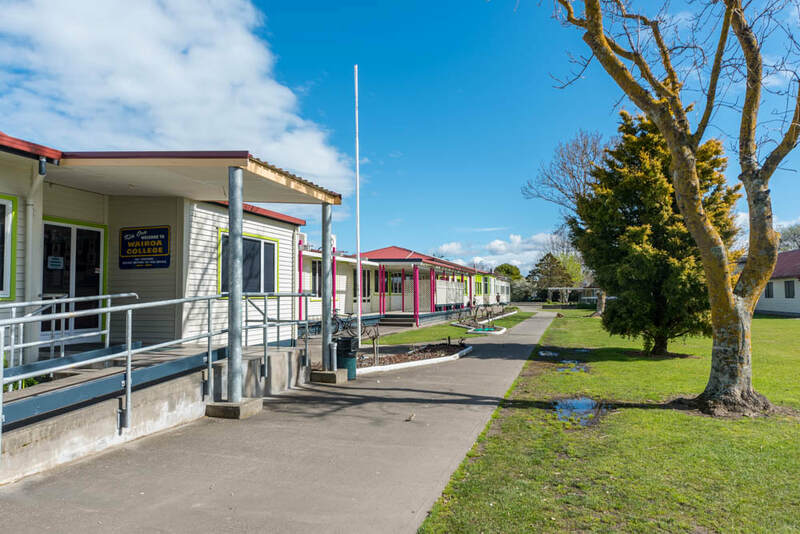 With a roll that sits around 520 students, Wairoa College offers a comprehensive learning environment for Years 7 to 13 students. The school is affectionately known as ‘The Rock’ – a name that has come to represent the solid foundation of growth and development offered within the learning environment. Through Mana Motuhake, interact and communicate confidently and tolerantly with people of different dispositions. Acknowledge their own history, tikanga and language in order to appreciate different cultures. Be aware of possible vocational pathways and develop career management competencies. Through Tino Rangatiratanga, demonstrate leadership by taking an active part in community, cultural and sporting activities. Through Hauora, make informed and healthy lifestyle choices. Be able to deal with a rapidly changing technological world. Interact with Te Reo Māori across the curriculum. Through Manaakitanga, recognise cultural identity as an essential component for achieving success. Through Whakapiritanga, to engage positively in a variety of environments.